Superdry women’s Performance zip through top. 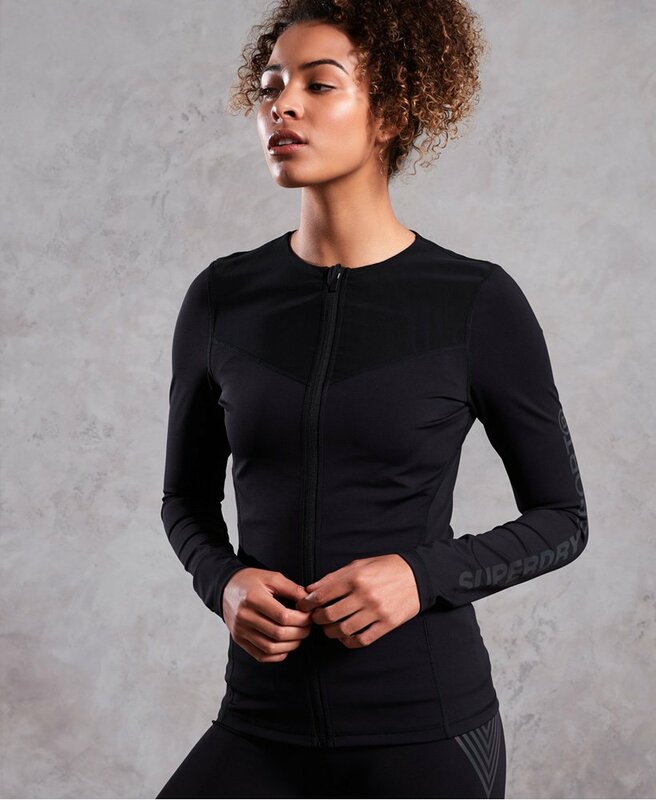 This top is developed for performance but with style in mind, featuring a breathable, sheer mesh panel, a zip fastening and moisture wicking fabric, which draws water away from the body. The Performance zip through top is finished with a reflective Superdry logo down the sleeve to improve visibility in low light. Pair with your favourite gym leggings for a stylish workout look.